I will be guest-editing a Special Issue of the Taylor & Francis Journal World Futures on Queer Convivialism: “Queer Convivialist Perspectives for Sustainable Futures”. Die Weltpremiere des Dokufilms Hanother: urbane Möglichkeitsräume für nachhaltige Entwicklung (Sacha Kagan, 88 Minuten) wird bei der Utopianale (Filmfestival in Hannover) am 11.11.2018 stattfinden. Le 28 Novembre 2015, j’étais le premier intervenant de la “Seconde Assemblée” (une série d’échanges organisés à Paris par le centre d’art et de recherche BétonSalon, à l’Université Paris 7, juste avant la COP21). La rencontre était intitulée “Assembly for a sutainable Future: Art & Culture(s) facing Environmental Crisis” (ce qui, traduit en Français, serait: “Assemblée pour un futur soutenable: Art & Culture(s) face à la crise écologique”). Ma présentation était intitulée: “L’art queer du convivialisme et la complexité comme expérience: La culture comme transformation dans les espaces de possibilité urbains”. Source: webpage by BétonSalon (page en Anglais). In June 2018, I was invited as guest speaker (with a presentation on “Artful Sustainability in Transdisciplinary Spaces of Possibility”) and moderated a Round-Table (on “Being Transdisciplinary in Sustainability Studies and Actions”) at the 2018 ATLAS T3 (Transdisciplinary, Transnational, Transcultural) International Conference “Being Transdisciplinary”, Babes-Bolyai University, Cluj-Napoca, Rumania. The conference gathered many inspiring insights from international transdisciplinary researchers, including philosophers, artists, religious and spiritual scholars, diplomats, engineers, social scientists, etc., who find inspiration in the works of Basarab Nicolescu and of other theoreticians of transdisciplinarity. At that conference, I was also most honored to receive the Basarab Nicolescu Transdisciplinary Science and Engineering Award 2018, awarded by the Academy for Transdisciplinary Learning and Advanced Studies (ATLAS). It was not merely an academically and intellectually important recognition, but also a much more deeply felt joy to receive this strong symbolic gesture coming from the members of the ATLAS and most especially from Basarab Nicolescu himself, whose axioms of transdisciplinarity, together with Edgar Morin’s qualitative complexity, have become cornerstones of not just my academic work but my thinking and practice in general over the past 9-10 years. Dr. Sacha Kagan being handed the 2018 Basarab Nicolescu Award. Prof. Dr. Raymond Yeh is handing the award. I’ll be posting over the next couple of days a few posts with videos from different talks I gave. I start here with an older video from 2014 that I just re-uploaded now. I am re-uploading this video because it disappeared from the website of Telemark University College already a while ago, so that people lost access. ‘Cultures of sustainability: transdisciplinary research cultures’. Keynote by Dr. Sacha Kagan at the international Symposium: “Cultures of Sustainability in the Age of Climate Crisis”. 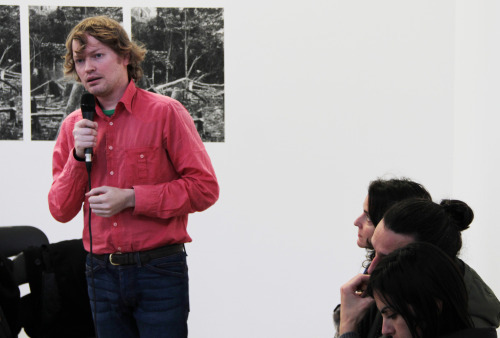 (Faculty of Arts and Sciences, Telemark University College, Bø, Norway, 13th–15th May 2014). 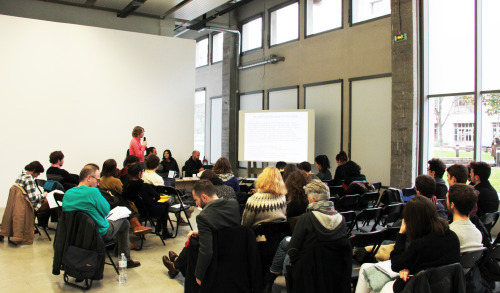 The event was part of the European COST Action “Investigating Cultural Sustainability”.